Hey there oh manly users of all things oils. Today I am going to go back to the beginning, back to when I was just getting started with essential oils – a skeptical young man with, how do I say this?, a little less enthusiasm than was probably necessary. As I got to know and use them a little more however I have grown to be a little more positive in their use. What I have realised also is that the more I have used, the more it has cost to purchase them. So today I wanted to take a step back and revisit the oils that got me started – The Young Living Premium Starter Kit (PSK). Why did I get this kit? Well firstly, it is the most cost effective way to get your sweaty little man-hands on a decent number of essential oils, and secondly, well it was probably the only way my wife was going to convince me to spend anything on them. Now I did know that I wasn’t prepared to trust the cheapies on eBay, but I still didn’t want to spend a fortune on something that I was unsure about. The PSK contains most of the oils that I have discussed so far in my blogs. 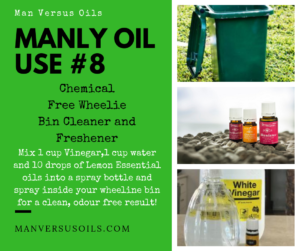 The list is below – with the manly uses I have covered in other posts here as well. Oh, and just as a time saver, I tend to base the manliness of the aroma based on the existence, or lack of, a florally scent… so if I call it manly, that means it is more ‘treey’ than ‘florally’. It is not an exact science, but it has worked for me. The following essential oils are the single oils that come with the starter kit – meaning that they have not been mixed with any other essential oils – or anything else for that matter. Another manly type smelling oil with high levels of beta-caryophyllene support the body’s natural response to irritation or injury. I personally rub this one directly onto my calf muscles when I am suffering cramps. Works a treat! Acne – Add to Jojoba or Almond oil for an effective, natural treatment for acne. Slightly less – ok a lot less – manly in aroma than some of the others but one of the most commonly used of the essential oils. Lavender is extremely good as a calming agent as well as in many skin care products – add it to a good carrier oil for shaving, soothing sunburn or chemical rashes. It is also very good for the hair and beard – again with a good carrier oil. DiGize is a combination of Tarragon, Ginger, Peppermint, Juniper, Lemongrass, Anise, Patchouli and Fennel essential oils. It is good for anything to do with an upset stomach and also for use in a portable diffuser to assist with car sickness (for the family of course – not us manly travelers). Oh and in the interests of full disclosure… This one smells a little less than ordinary. My wife mixes it with lavender in the diffuser to break it down just a little. PanAway is a mixture of Wintergreen, Helichrysum, Clove and Peppermint which gives it quite a strong, sporty aroma (I think it smells like Dencorub or Deep heat). This, along with Copaiba, is one of the oils that started to erode my initial skepticism – I have tendinitis in my shoulder and suffer from it after swimming or lifting weights. I added this to coconut oil and rubbed into my shoulder after exercise and I have to say that I noticed not only immediate pain relief but also a reduction in discomfort in my everyday life. For an extra deep ‘soothing’ feel, I have also added Peppermint to the mix on my ankles. Note: As with off the shelf sports creams and gels, this mixture will assist with the symptoms only, not the causes so as usual, if you have a major sporting injury, please refer yourself to a medical professional. This is another commonly used essential oil blend that contains Lime, Vanilla, Copaiba, Lavender, Cedarwood and Ocotea. It is not a real manly in aroma however with the strong vanilla presence I have to admit it is not all that unpleasant. As the name suggests, it is one that is aimed at mood management including stress relief and sleep. Nasal congestion – again, Eucalyptus and Peppermint are common ingredients in gaining relief for a blocked nose – add to the diffuser with some Lemon essential oil. This one is another blend included in the start kit and contains Citronella, Rosemary, Lemongrass, Melaleuca Alternifolia (Eucalyptus), Lavandin and Myrtle. The last time I wrote about this oil I put it in the feminine category and stated that I wasn’t sure whether it was manly in scent or not. One of my readers (thanks Christina) then summed it up perfectly when she described it as the “most hospital-ist smell” and bang! That is exactly what it smells like. Although the lemongrass and Citronella are starting to grow on me. 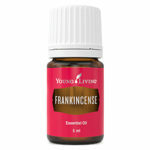 It is actually a very good oil for the diffuser as it is an odour eater! It will overpower just about any smell you can introduce and with its base of Citronella, Lemongrass and Eucalyptus, it is actually also quite a good insect repellent. We actually took this one camping over the long weekend in January. It really did seem to keep the biteys at bay. I actually quite like this one! Cleaner – Add to 5 to 10 drops to water in a small spray bottle and if you can find surface that needs cleaning – then clean it! This one is so powerful, that young Living have actually created a whole suite of products from it including cleaners, hand sanitisers and tooth paste – yep… toothpaste. But that is a post for another day. In my post in regards to room diffusers, I outlined a number from the Young Living stable that I considered effective – I won’t go through them all again now but if you would like some more information to assist with your choice, click here. As part of your initial journey into manly oilness a diffuser is an absolute must as many of the benefits outlined above do require a diffuser. I recommend the kit with the Desert Mist diffuser as it can run from 4-10 hours with an intermittent mode, offers 10 different light colours and 11 individual light settings, including a candle-like flicker mode, and turns off when it runs dry. I have to admit I got this one as it was the cheapest (I mean, most cost effective) but we use it in a medium-sized kitchen and it is more than adequate for that space. Depending on the starter kit you choose, there are a number of different bonus items that you receive. These also change from time to time so in order to keep this page current, I will include the basics that come with the Desert Mist starter kit. These are little roller balls that fit on top of the 5ml bottles to allow for easy application (do your research first however as not all oils can be applied directly. Those that should never be applied ‘neat’ to the skin in the starter pack include Lemon, Peppermint, DiGize, Panaway, R.C. and Thieves. All others should be ok but as always, maybe just apply a little to test first. As I said earlier, Thieves is used in all sorts of products. This is a Thieves based hand sanitiser. Small mixer bottles for your manly essential oil blends. NingXia Red is combines the wolfberry superfruit with pure Orange, Yuzu, Lemon, and Tangerine essential oils, along with blueberry, aronia, cherry, pomegranate, and plum juices. Young Living promote it as a whole-body nutrient infusion for wellness support. I haven’t personally tried my samples as yet. But when I do you will be the first to know. So you can keep buying! Again, full disclosure. To purchase a starter kit, you are required to become a member of Young Living. This means that you are given access to links, promotional materials and other paraphernalia that allows you to become an on-seller of essential oils and other YL products to gain commissions. 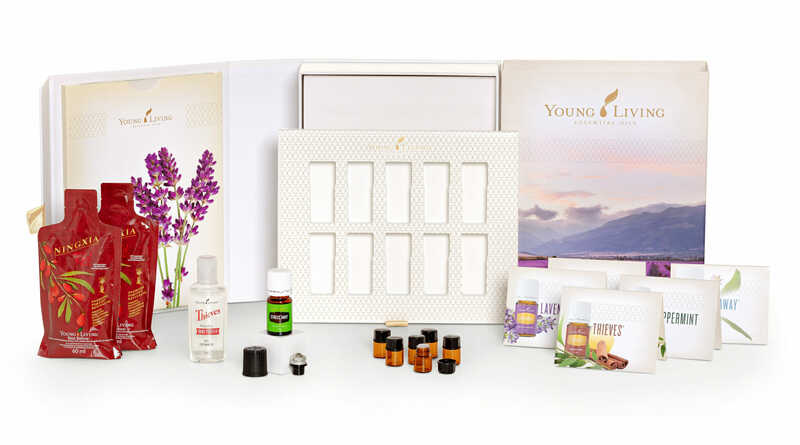 I can guarantee you that if you do purchase one of these starter kits through this page that myself, and Young Living, will NEVER in any way hassle you or get you to hassle your friends to purchase more products or to become members themselves. I just won’t! The premium starter kits are designed to give to a good coverage of oils at an introductory price. As I have said, I would not have started with them if I had to fork out for a diffuser and all of these oils individually (which, if I purchased each of the ones listed here on their own it would cost me over $615). I could get a cheaper diffuser and probably cheaper oils, but here I know what I am getting. So here are the starter kit prices. So there you have it. That is how I got started in essential oils and I believe the most cost effective way to do it. I have purchased more along the way of course and am careful with what I pick and choose but for the uses outlined above, the started kits should certainly contain enough to get you started until you know what it is that you are looking for or need. As always, if you have any questions or if there is anything else you would like some more information on, please do not hesitate to ask and I will check it out for you. Note: All prices listed are in Australian Dollars ($AUD) – To see prices for other areas, select the relevant country flag at the top of the page. If you make a purchase from this page, there is a very good chance that I make a commission from it – these commissions do not increase the your sales price. Also, if you are making a purchase and the enroller ID is blank, please help a brother out by adding 15846324 to the enroller and sponsor ID fields. Lately I have got really into these essential oils not just because of their nature also because the calmness the give me when I use the diffuser. You have listed some great choices here for me to choose because my old essential oil is going to end. I’m most likely going to choose the lavender one. I think I’m going to try that first and after that I will order more. Hi Sujander, you can’t really go wrong with Lavender as a first try – it is so versatile. Let me know how you go. You have given me enough choice to make on picking essential men oils, I just had to include the use of oil in my routine this year and I have difficulty picking the best one for me, but here my problems are solved. Thanks for the wonderful review, it’s really helpful and relevant. Great list of essential oils you got here. I have used just few of them mainly because of the pleasant smell that comes with them. Some of these oils leave a long lasting sweet smell on the user which is really attracting. Please do help in getting the source and mode of extraction of these oils. Very helpful content. Hope it helps, but I will try and add that info to more posts. Hi Matlhogonolo , so glad I could be of assistance. Keep me posted on your uses. Thank you for writing so much information on essential oil. I believe all of them are natural. Lemon and Lavender are my perfect choice for my family needs now. I am planning to buy both of them. I need to use them first and then I will recommend it to others also. One of my best friend is planning to start a local business of different oil and diffuser products. I am going to discuss it with him. Hi Mzakapon, you could do a lot worse than start with those two. Let me know how you go. I like the Lemon one, since it will smell good and refreshing and all the abilities it has. Now I only have one question, yes this is for men, but is it also suitable for my wife? It is more out of curiousity than something else actually. Hi emmanuel, absolutely they are suitable for your wife. In fact the main reason I started on this journey was the lack of information out there aimed at men and essential oils. 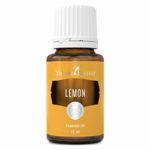 My wife uses lemon in the diffuser often when she feels the need to freshen up the house. Oh wow, my husband is going to love your site. I have diffusers and candles all over the house, and he really likes to be in the loop on the fragrances, because he says I’m always picking out “girly” smells lol! When he sees this site, he’s going to be like, “Are you kidding me? Finally!!! Scents for GUYS!” Ha Ha! I can’t wait to show him. Haha Babsie, great to hear. Let me know what he thinks. Paul, I was skeptical about the essential oils as well. I’m a severe seasonal allergy suffer (hayfever) and I have started to use essential oils to treat them. The success has been outstanding for me and it has brought back the joy of summer to me again. My girlfriend also bought me a diffuser that I use in my bedroom at night. 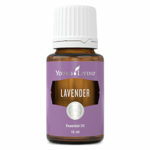 A few drops of oil (lavender), in the diffuser and I find that I sleep much better now. 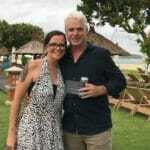 This is a lovely article and i must commend you for putting this lovely post together. I have a little experience with frankincense and lemon and i can say vividly that your review about them is just too perfect. I hope try othersout anytime soon. My pleasure Ola, thanks for stopping by.